This study is aimed at assessing water quality in Kabul Basin by integrating several scientific investigations and studies on monitoring and evaluation of water quality conducted so far by different entities. It shows that in Afghanistan lowering of groundwater table is rapidly entering into water-scarce countries. Increase in population density and decrease in water availability have become dual threat to water quality, and impact on public health. It has been estimated that in Afghanistan around 30–40% of all reported diseases and deaths are due to poor water quality. Moreover, the leading cause of deaths in infants and children up to 10 years of age as well as mortality rate of 1,600 per 100,000 live births is reported owing to diarrhea. This situation is rather worst due to being among the backward and poverty-stricken areas. Findings of this research show that the increased population of Kabul city by about 4% per year during 2002–07 affected existing shallow water supply by increased groundwater withdrawals. Increasing water use on groundwater levels indicates that a large percentage of existing shallow water-supply wells in urban areas may contain little or no water by 2057. 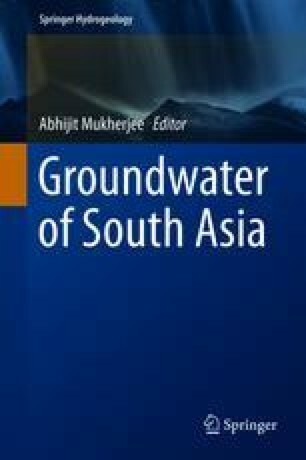 This research presents a thorough analysis of the groundwater quality and quantity deterioration, which leads to a conclusion and a set of recommendations, which are considered useful to prevent water quality deterioration as well as quantity decrease of the groundwater in Kabul River Basin.